Yang Li started learning the guzheng at the tender age of 9. Her passion for music led her to enroll into the Xinghai Conservatory of Music, under the tutelage of Ms Song Ting Ting. 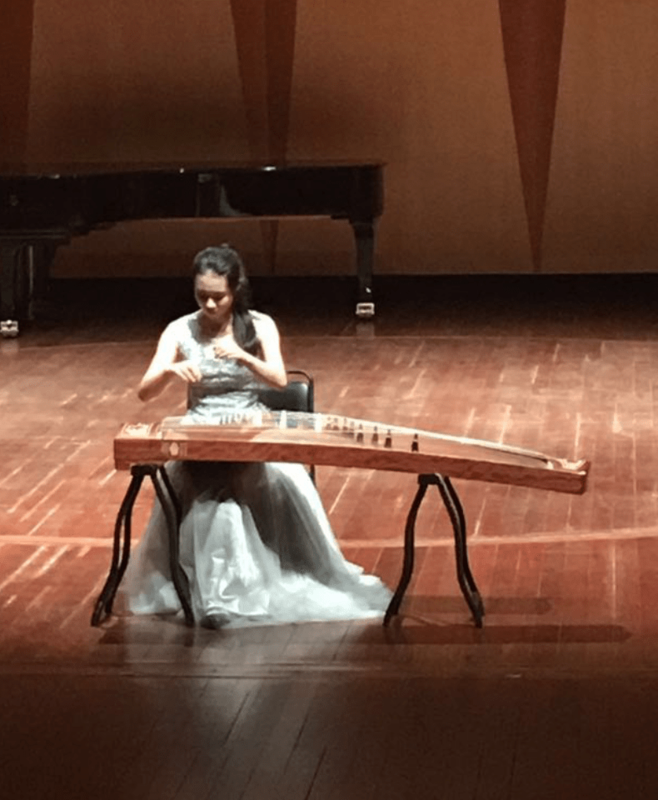 Graduating from the conservatory’s middle school in 2016, she entered the Nanyang Academy of Fine Arts to pursue a Diploma in Music in 2017, majoring in guzheng performance. She is currently under the tutelage of Ms Yin Qun and Ms Xu Hui. Yang Li has also proven to be a formidable musician onstage as well. After clinching the Gold Award in the 2012 Hong Kong International “Zi Jing Hua” Chinese Instrumental Competition, she never wavered in her pursuit towards music excellence. Thereafter, she was awarded the Silver Award in the 2015 Taiwan “Hua Le Bei” Competition as well.